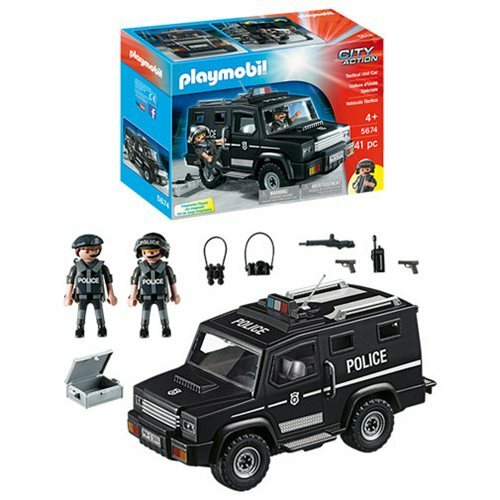 The Playmobil 5674 Tactical Unit Police Car is tons of fun in your Playmobil city! Car features rolling wheels and armored play plating, plus a storage area for your figures and their gear. Includes 2 figures and accessories.